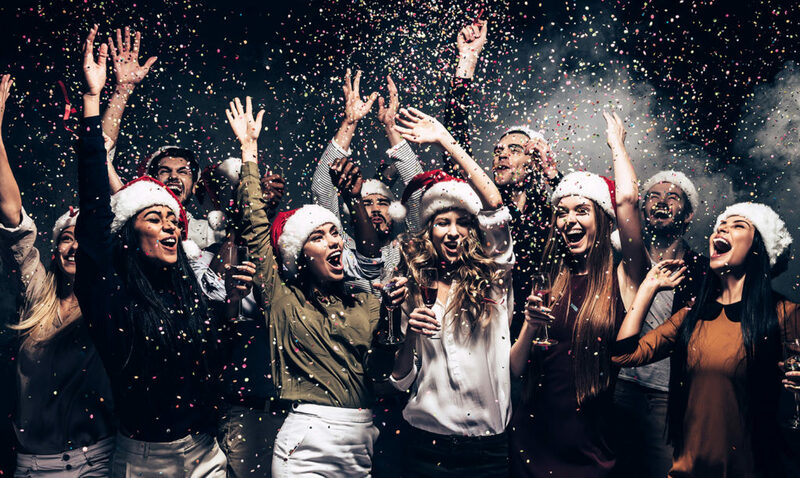 The Christmas party preparations have started so to help you get on your way, we are sharing how to avoid making the following three common mistakes in order to provide your team with the best Christmas party this year! So, let’s get started with possibly the most overlooked one of these 3 Mistakes Not to Make as the Christmas Party Organiser. Now we know this may seem like common sense but how many times have you put off organising your Christmas event and before you know it, it’s too late and all the exciting venues and entertainment are fully booked? The festive season is a peak time for acts, performers, DJs and the best ones will be snapped up by the organised early birds. Get everything booked early and you’ll have more options, more price levels and more flexibility to make your event fantastic! Setting your budget for the most highly anticipated work event of the year will definitely increase the value of your event. Knowing how much you can spend overall and on separate things such as food and entertainment will keep you in check and in control of your Christmas event. Last but certainly not least of our top 3 Mistakes Not to Make as the Christmas Party Organiser list: This is the best time of year to think creatively and discover unusual options to make your Christmas party an extremely memorable and unique event. As the organiser, we can understand you probably have a lot of people to please, however, we can assure you that playing it safe and doing the same thing year in year out certainly will not please your office, so think outside the box and surprise them this year! When considering these top 3 Mistakes Not to Make as the Christmas Party Organiser, it’s important to take everything with a creative twist. You could spice up a corporate dinner and book our Christmas Crime and Dine for an exciting and entertaining evening experience. With a forensic expert leading the investigation of a murder, guests will try their hand at fingerprinting, dusting evidence and other forensic activities to solve the murder. Alternatively, if your office are a more active and competitive bunch, The Crystmas Maze might be more suited to you. This fantastic event involves teams competing in a range of fun Christmas themed team building activities to win crystals and ultimately win the Crystmas Maze. For a half day event, guests can immerse themselves into the role of a Police Officer and Crime Scene Investigator to solve a chilling Christmas murder in our Real Life Clu D’oo event. This is the perfect experience to kick-start your festive party or to run over dinner. Organise a Festive Christmas Quiz as a warm up to your main event or to run over dinner. This is a fantastic festive themed tablet-based challenge guaranteed to bring you festive cheer. What type of Christmas party planner are you? Are you organised or last minute? Either way, contact us today to discuss our fabulous Christmas events and to discuss how we can make your event one to remember.